Each side of your face has a small but important link from the jawbone to the skull. This carries the name temporomandibular joint (TMJ). It allows your jaw to move and, thus, you to chew, swallow, and talk. If you feel pain in this area, you may have a case of temporomandibular joint disorder. Below, we describe the causes of TMJ disorder, the signs that you may have this disorder, how it is treated, and how you might be able to avoid it. If you ignore it, you may be facing complications that include misalignment of your jaw and teeth, in addition to difficulties eating and talking. As a general rule, TMJ disorder does not have a known culprit. However, the pain can develop in either the disc that separates the jaw bone and skull, or the cartilage covering the bones in other joints. Trauma may produce this damage to the cartilage and shock-absorbing disc. This can come from being hit with an object such as a baseball or being struck by someone’s fist. 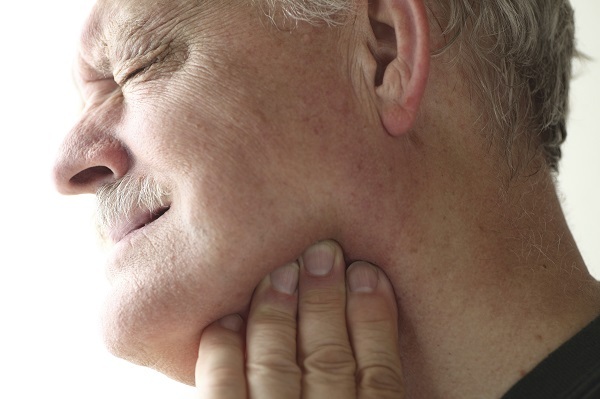 Arthritis can also represent a reason for having TMJ disorder. When you suffer from arthritis, your cartilage and bones are damaged often through wear and tear. You might see this with knee, back, and elbow pain as the cartilage and disc degenerate. The same phenomenon can happen in the joint that links the jawbone to the skull. Bruxism is another principal source of wear and tear. The more you chew, especially on hard items that require a lot of force, and talk, the more pressure you place on the jaw. Pain is the main symptom of a temporomandibular joint disorder. It will likely manifest itself when you’re chewing. Other forceful jaw movements may spark pain. When you’re eating, be aware if your jaw locks or sounds as if it clicks or grates. These are also symptoms of TMJ. Will I Need Surgery as Temporomandibular Joint Treatment? If your dentist can help it, the answer will be no. This is actually because surgery is generally not the preferred course of treatment. Surgery on this joint creates an irreversible alteration of the jaw’s function. As a result, your dentist will likely recommend more conservative measures. Heat or cold: Moist hot or cold packs can counteract the painful feeling. Use these on the side of your face and temples for approximately 10 minutes. Then, apply a warm towel or washcloth for five minutes to your side. If recommended by your dentist, gently stretch your jaw between the cold and warm packs. Medications: Your dentist may prescribe a painkiller, or you can take over the counter relievers such as ibuprofen or naproxen. Magnesium: Include in your diet foods such as yogurt, dark chocolate, bananas, pumpkin seeds, almonds, black beans, and spinach. These foods contain healthy portions of magnesium. This mineral is an absorption mechanism for calcium and can make your bones denser. Omega-3: These fatty acids are an effective temporomandibular joint treatment for their anti-inflammatory properties. You’ll find this good fat in fish such a salmon. Supplements can also provide Omega-3. Exercises: Here, we mean exercises for the jaw. Some include the opening or closing of your mouth, creating a double chin, and moving your jaw from side to side. If I Need Surgery, What Kind Will I Have? If your dentist deems surgery to be the best alternative, he or she may try procedures that involve needles rather than reconstruction. An arthrocentesis aims to remove debris and other inflammatory agents by conducting fluid through the joint. This irrigation technique relies upon small needles being inserted into the joint. Botox and other injections may be employed for pain relief. In a TMJ arthroscopy, the surgeon places a thin tube into the joint space and then inserts the arthroscope. From there, the surgeon can perform the work. Patients who have modified condylotomy have surgery on the mandible rather than the joint. How Can I Prevent TMJ? A complete cure for TMJ disorder may not exist just yet. However, being able to control the grinding of teeth can go a long way in reducing the chances or the symptoms. Mouthpieces such as splint and night guards enclose the upper and lower teeth to prevent contact if you should try to clench or bite. Splints are worn throughout the day, while the night guard is used during your sleep. Clenching and gnashing teeth can also result from stress and anxiety. To reduce these influences on you, use meditation or relaxation techniques. Regular exercise and a well balanced diet can also reduce anxiety. In some respects, a temporomandibular joint disorder remains a mystery. Surgery could have irreversible effects, some of which may not be fully known or apparent. Not all of the causes of TMJ disorder have been discovered. However, there are treatments to alleviate the symptoms and counteract some of the potential causes. Please let us know if there are other approaches that have helped you with temporomandibular joint disorder symptoms.